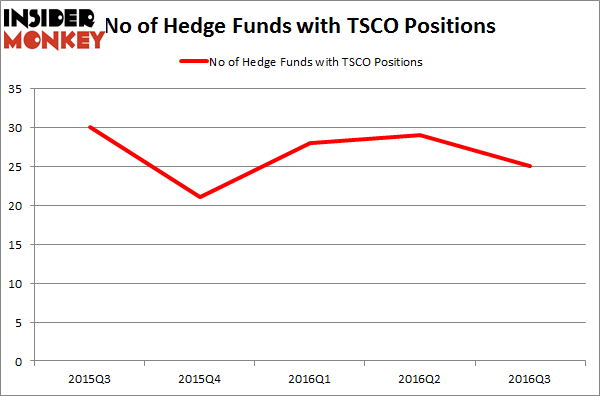 Is Tractor Supply Company (TSCO) Going to Burn These Hedge Funds? Legendary investors such as Leon Cooperman and Seth Klarman earn enormous amounts of money for themselves and their investors by doing in-depth research on small-cap stocks that big brokerage houses don’t publish. Small cap stocks -especially when they are screened well- can generate substantial outperformance versus a boring index fund. That’s why we analyze the activity of those elite funds in these small-cap stocks. 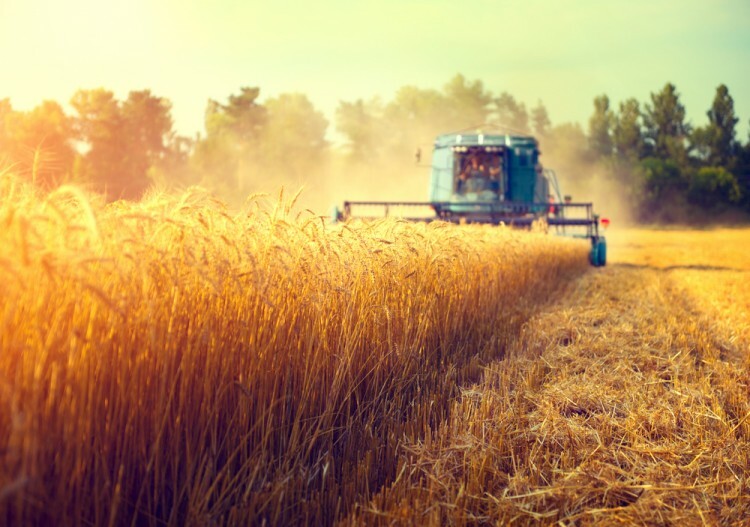 In the following paragraphs, we analyze Tractor Supply Company (NASDAQ:TSCO) from the perspective of those elite funds. Tractor Supply Company (NASDAQ:TSCO) shareholders have witnessed a decrease in hedge fund sentiment lately. At the end of this article we will also compare TSCO to other stocks including Autodesk, Inc. (NASDAQ:ADSK), Host Hotels and Resorts Inc (NYSE:HST), and Skyworks Solutions Inc (NASDAQ:SWKS) to get a better sense of its popularity. Keeping this in mind, we’re going to view the latest action encompassing Tractor Supply Company (NASDAQ:TSCO). What does the smart money think about Tractor Supply Company (NASDAQ:TSCO)? At the end of the third quarter, a total of 25 of the hedge funds tracked by Insider Monkey were long this stock, down 14% from the previous quarter. With hedge funds’ capital changing hands, there exists an “upper tier” of notable hedge fund managers who were upping their stakes significantly (or already accumulated large positions). When looking at the institutional investors followed by Insider Monkey, Select Equity Group, managed by Robert Joseph Caruso, holds the number one position in Tractor Supply Company (NASDAQ:TSCO). According to its latest 13F filing, the fund has a $178 million position in the stock, comprising 1.5% of its 13F portfolio. The second most bullish fund manager is Citadel Investment Group, led by Ken Griffin, holding a $126.5 million position; the fund has 0.1% of its 13F portfolio invested in the stock. Some other peers that are bullish contain Steve Cohen’s Point72 Asset Management, Jim Simons’s Renaissance Technologies and Joel Greenblatt’s Gotham Asset Management. Is Rite Aid Corporation (RAD) Worthy of Your Portfolio? Here is What Hedge Funds Think About Danaher Corporation (DHR) Does F5 Networks, Inc. (FFIV) Represent a Good Addition to Your Portfolio? Should You Buy Eli Lilly & Co. (LLY)? Is Johnson Controls International plc (JCI) a Good Stock To Buy? What Smart Money Thinks About The Walt Disney Company (DIS)?